During the peak of the Prohibition era, getting a drink required an adventure to the right alley door with the right password. Thankfully, we’ve moved on from the prohibition days, however, the thrill of the hunt remains very much alive among cocktail enthusiasts. In Nebraska, there are some incredible speakeasy bars serving up modern cocktails in old-fashioned, intimate settings. You just have to know where to find them! 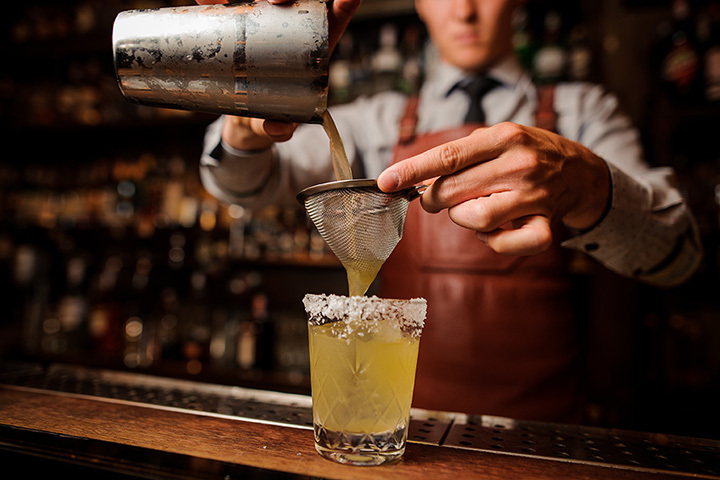 Here are the best speakeasies in Nebraska. Grane offers its guests a unique, speakeasy-style experience inspired by years past and enabled by today’s technology and some of the best ingredients in the world. With over 700 premium spirits and more than 550 premium whiskeys available, patrons can sample exclusive whiskeys that aren’t available anywhere else. With a secret address and a speakeasy-style back door, the Other Room in Lincoln is an intimate space that offers an array of top-quality cocktails and was even nominated for a James Beard award. Hidden behind the Looking Glass in downtown Omaha, the Wicked Rabbit is a classic, intimate speakeasy famous for its handcrafted cocktails. With dim lighting and velvety walls, this is the perfect spot to take a date. The Speakeasy in Holdrege lives up to it name. With an incredible dinner menu and an old-fashioned cocktail menu, patrons can make an entire night out of a visit to this local favorite. The Berry & Rye in Omaha offers its guests a classic, charming prohibition-era experience with cocktails created by professional mixologists. Don’t miss one of The Berry and Rye’s signature drinks which is served in a smoking carafe. To get to Barrymore’s, you’ll have to wander down an alleyway. Once inside, you’ll be transported to an old speakeasy bar nestled in what used to be the backstage of the Rococo Theater in Lincoln. A night at the Blackstone Social in Omaha is an unforgettable experience. With a superb lineup of specialty cocktails, this gorgeous, intimate space is the perfect spot for a date night or happy hour with a small group of friends. I am so happy @sammijay79695 is here!! !